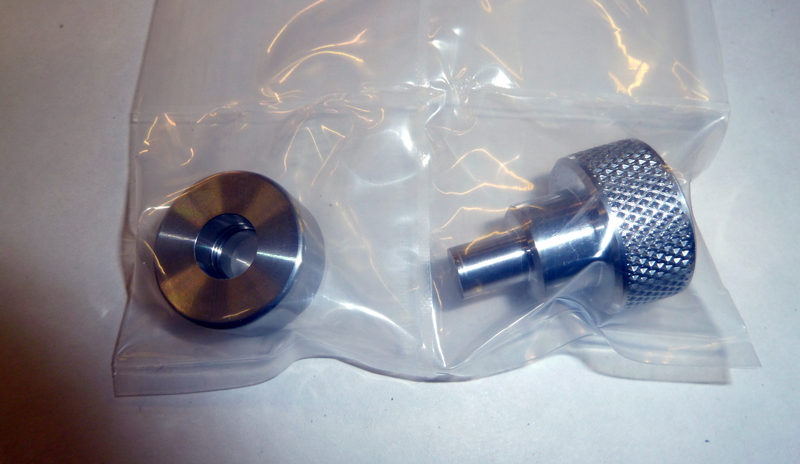 Premier Laboratory Service Inc. Calorimeter Sample Holder Cover Reforming Tool. !!!!!!!!!!! NEW !!!!!!!!!! STAINLESS STEEL !!!!!!!! Sample holder cover reforming tool for Perkin Elmer DSC 2, DSC 4, DSC 7, Pyris 1 DSC and Pyris 6 DSC. Stainless steel extremly easy to use. No need to throw away bent, deformed or damaged covers. Save money and reform them.